When is the Best time to Track Gorillas in Uganda or Rwanda? Although gorilla tracking can be done all year round in Uganda and Rwanda, and because it can rain anytime in the gorilla habitats, the best time we recommend is in the months of December, January and February as well as from June, July and September when the gorilla habitats are receiving relatively low rains. Rwanda experience a number of season however the first rains begin towards the end of February in March, April to May and because of that several tourists prefer not to visit the park during these months since the trails are muddy and slippery. However, since there is plenty of gorilla food even on the lower slopes, and yet it’s extremely cold on the higher altitudes of the volcanoes, the mountain gorillas tend to remain on the lower slopes which are a bit warmer and with abundant food. Therefore tracking gorillas in these months, may not require trekking for long hours and on average may take 2-3 hours only. In Uganda, the scenario is actually very similar however the first rains begin in March, April through to May. And without a doubt, these rains make it quite challenging to traverse the steep forested muddy terrain. However it should be noted that in Bwindi forest it can rain anytime so don’t be surprised when it rains even in the dry months. Another thing worth noting is that the seasonality of mountain gorilla trackers may also be dependent of the weather seasons in their home country as well as the type of work they do. For instance during summer in Europe, the numbers of visitors tracking gorilla has been observed to greatly increase and then in winter it decreases. Also, there are a number of gorilla trekkers who prefer to take advantage of the offered seasonal discounts on the gorilla tracking permits especially during the rainy months. 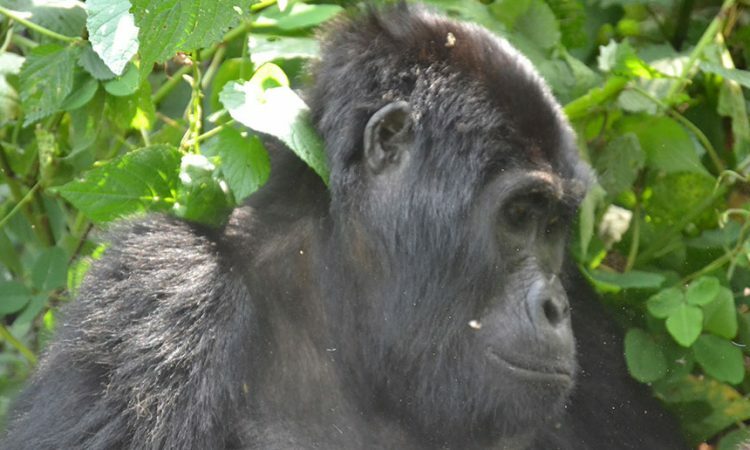 Currently in Uganda, UWA (the Uganda Wildlife Authority) discounted its gorilla permits to $450 for non-resident foreigners during the off-peak season instead of the usual $600. In addition, majority of the accommodation facilities in and around the gorilla habitats have also discounted their rates during that time. Therefore in conclusion, this clearly shows that gorilla tracking can be done all year round depending on the trekker’s preference.